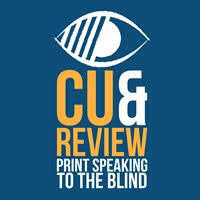 Since 1982 Cue and Review – Print Speaking to the Blind has transcribed print magazines and newspapers into audio format for visually and reading impaired people. At present, we are the only UK service to provide a daily article by article service. Over 200 articles per week are read by our volunteer base from our radio standard studios. These articles are digitally recorded and can either be accessed through the British Wireless for the Blind Fund stream or downloaded as a podcast. We support, train and develop around 25 volunteers of all ages (drawn from the Greater Glasgow area) who are socially isolated through confidence, anxiety or mental health issues. This project boosts confidence, gives them support to cope, allows them to make new friends and offer each other support. The training ensures that, by accessing online newspapers, reading aloud editing, and uploading to the internet, they realise how easy it is to operate digital recording equipment and increase their confidence in public speaking and presentation. Shared experiences of health, employment and wellbeing issues increase knowledge, understanding and social cohesion for all participants. We also aim to improve employability where appropriate. As people move on for employment and personal reasons we must keep recruiting and training volunteers. Volunteers work alongside employees funded by the Community Jobs Scotland Initiative who are employed for 25 hours per week at national minimum wage for 52 weeks.They develop the same skills as volunteers but there will be greater emphasis on soft employability skills such as timekeeping, meeting deadlines, understanding the need for individual contribution to support the overall picture, developing new skills etc. They are encouraged in job search, given assistance to hone CVs, complete application forms and prepare for interview. We use peer mentoring and our 35 years' experience to guide people into careers that they may not have previously considered and encourage entrepreneurship where appropriate. Participants who show other skills are encouraged to contribute to appropriate aspects of the charity's core work – administration, fundraising, public relations etc. We have secured funding to appoint a Team Leader to recruit a team of volunteer Access to Audio Ambassadors to visit care homes, eye departments, libraries and sensory centres across the area to increase the number of people who can access our service by downloading podcasts to their laptop or smartphone. We hope to provide direct support to visually impaired people to do this for themselves in the near future. We will encourage all staff and volunteers to become more confident in using e-mail, text, appropriate social media as well as using the internet and our digital recording equipment. We will train them where necessary in basic digital skills as they learn to produce our daily articles and encourage them to participate in further in -house training on this and social media skills. We will expand our access to audio ambassador service to cover more of central Scotland and to work more closely with other agencies for the reading impaired. This will enable us to remain in the forefront of digital participation and new digital tools for the visually impaired. We need to encourage other agencies and organisations to raise awareness of our service to the visually impaired and encourage the visually impaired to embrace new technology. We would like to extend the services we offer to our listeners and to extend the audio ambassador service but this requires financial resources.